From Sweden’s internationally best-selling crime novelist, the author of Easy Money, comes the riveting second installment of the Stockholm Noir Trilogy. 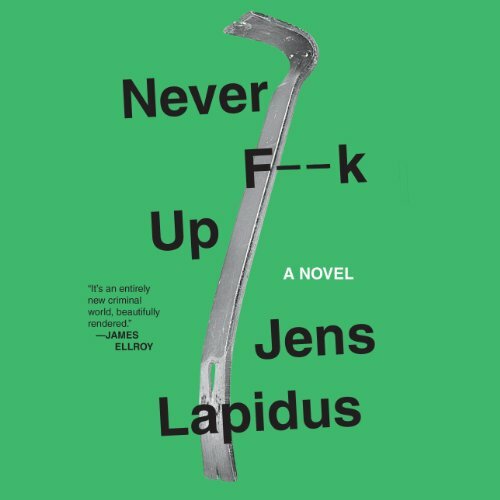 With his trademark live-wire staccato prose and raw energy, Jens Lapidus returns to the streets of Stockholm with an electrifying tale of seedy police officers and vicious underworld criminals. Mahmud, an iron-pumping gym fiend raised among the city’s many concrete high-rises, is fresh out of jail and heavily indebted to a Turkish drug lord. To get free he accepts a job from the henchman of brutal mob boss Radovan—a job that quickly becomes something Mahmud wishes he’d never agreed to. Meanwhile, Niklas is living at home with his mother and keeping a low profile after working as a security contractor in Iraq. When a man is found murdered in the laundry room of their building—a startling event that coincides with Niklas’s discovery of a young Arab girl being beaten by her boyfriend—Niklas decides to put his weapons expertise and appetite for violence to use and begins to mete out his own particular brand of justice. Thomas is the volatile cop called to investigate the murder in Niklas’s building. When his efforts are suspiciously stymied and the evidence tampered with, he goes off the grid in search of answers. As the identity of the murdered man is discovered, the paths of these three men intertwine, and crimes and secrets far greater than a mere murder come to light—raising the stakes of Stockholm’s criminality to staggering new heights.